Tim DeForest has been geeking out on various elements of early 20th Century pop culture for most of his life. He is the author of several books on old-time radio, comic strips and pulp fiction. His first book—Storytelling in the Pulps, Comics and Radio: How Technology Changed Popular Fiction in America--was published in 2004. Radio by the Book: Adaptations of Fiction and Literature on the Airwaves, was published in 2008. Tim also wrote Fort Laramie: A Review and Episode Guide and Frontier Gentleman: A Review and Episode Guide. Tim also maintains a blog about comics, radio and pulp fiction. Tim has also written magazine articles on military history and the American West. 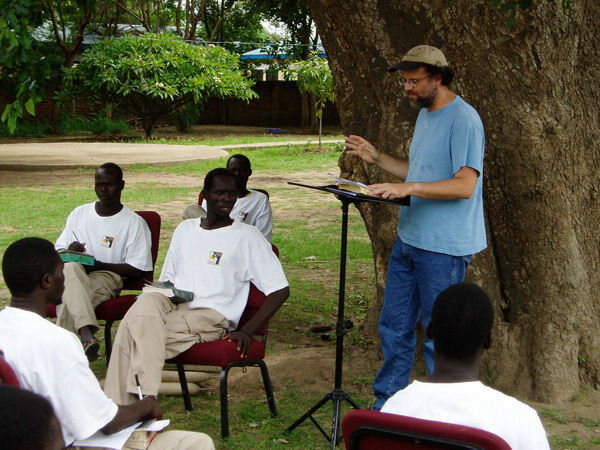 He regularly teaches several Bible studies and has served as a short-term missionary in Haiti and south Sudan.